Current cellular networks are overloaded due to the increasing number of smartphones and demands for bandwidth-eager multimedia content. Upgrading the existing infrastructure of the cellular system is the most straight forward solution to meet the growing demand. Apart from this, offloading mobile data through Wi-Fi can be a feasible solution. 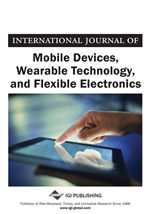 Mobile offloading via Wi-Fi is the latest emerging trend in research and industry. In this article, the authors have proposed a framework for mobile data offloading for both cellular and Wi-Fi networks. The authors have introduced a daemon process-based approach to make the entire process lightweight by using a suitable offloading decision algorithm. This article then formulates a mathematical model to evaluate its feasibility and accuracy for achieving optimum performance. Wiffler can be used to augment 3G capabilities in cellular environments. In Wiffler, the data chosen for offloading from cellular to Wi-Fi network is based on historical data collected from Wi-Fi access points. In some cases the data so collected may give inappropriate and misleading information for future offloading decision (Balasubramanian et al., 2010). MultiNets is a mobile offloading system supporting seamless switch-over between wireless interfaces on mobile devices in real time. It makes unfair decision by estimating bandwidth and signal strength of access points for future offloading. In MultiNets, any extra network infrastructure support is not required to run the existing application smoothly (Nirjon et al., 2014). The MADNet architecture is built around the concept of using cellular networks to do signaling and a combination of cellular networks and other communication opportunities to deliver the data. It also uses location services (e.g., GPS, cellular tower triangulation, and Wi-Fi beacon footprints) to help users choose the location of delivery (Dimatteo et al., 2011).